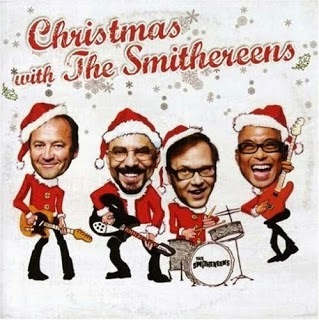 The Smithereens first dabbled in Christmas music back in 1992 by recording a silly and energetic take on “Rudolph The Red-Nosed Reindeer” for theRockin’ Christmas compilation. The song later appeared on the 1995 Attack Of The Smithereens rarities collection, as well as on the Songs Of The Season compilation sponsored by Borders Books and WXRT in 2000. There are also guitar-driven interpretations of Chuck Berry’s “Run Rudolph Run,” Brenda Lee’s “Rockin’ Around The Christmas Tree,” and The Beach Boys’ “Merry Christmas, Baby.” “Christmas,” taken from The Who’s Tommyisn’t traditional holiday fare, but the authentic arrangement here gives a preview of band’s later decision to record their own version of the entire rock opera. “Merry Christmas (I Don’t Want To Fight Tonight)” doesn’t have as much edge as the version by The Ramones, but it’s still a solid effort, and The Smithereens also do well with “Christmas Time Is Here Again,” one of the rare songs The Beatles recorded for their fan club members.